Catcher Raffy Lopez cleared waivers and was sent outright to Triple-A Gwinnett by the Braves, per the league’s transactions log at MLB.com. Lopez, 31, was designated for assignment when Atlanta selected Matt Joyce and Josh Tomlin to their Opening Day roster. The journeyman catcher hit .176/.265/.284 in 117 plate appearances with the Padres last season and has never produced much in limited time at the MLB level. He is, however, a career .266/.340/.401 hitter in 1078 Triple-A plate appearances. 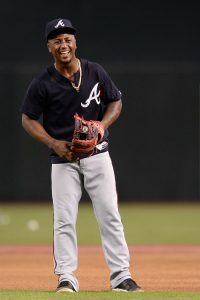 The Braves acquired him from San Diego in exchange for cash back in early November, but he didn’t have a place on the active roster behind Tyler Flowers and Brian McCann. Blue Jays catching prospect Max Pentecost has opted to retire, MassLive.com’s Chris Cotillo reports (via Twitter). Sportsnet’s Shi Davidi reported late in camp that Pentecost was considering retirement as an option. The 26-year-old was the No. 11 pick of the 2014 draft but has undergone three different surgeries on his right shoulder since being selected. 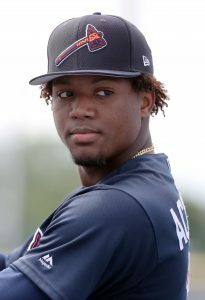 He missed the entire 2015 season as a result of those shoulder woes and has played in a total of just 260 minor league games (plus 11 more in the Arizona Fall League) since being drafted nearly five years ago. A healthy Pentecost showed a good bit of promise, particularly in 2016 when he hit .302/.361/.486 across two Class-A levels.